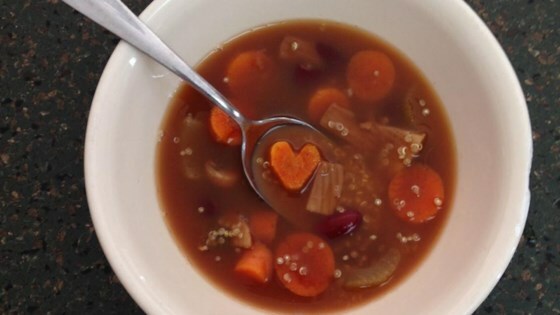 "A vegan mix of lentil and quinoa with carrot, mushroom, and celery in a spicy soup." Combine water, celery, lentils, quinoa, carrots, mushrooms, chili powder, cumin, and ginger in a saucepan. Cover saucepan and cook soup over medium-low heat until vegetables and lentils are tender, 45 to 60 minutes.